Creativity has run in my family for generations. My parents Edward and Lucille Burnham were actors, my grandfather was in silent movies before them, and my great grandfather had a Punch and Judy theatre. My sister, Lal, is a Principal Costume Maker for The Royal Opera and Ballet and The English National Ballet, while my brother, Tim, is president of Tempest Lighting in Los Angeles. 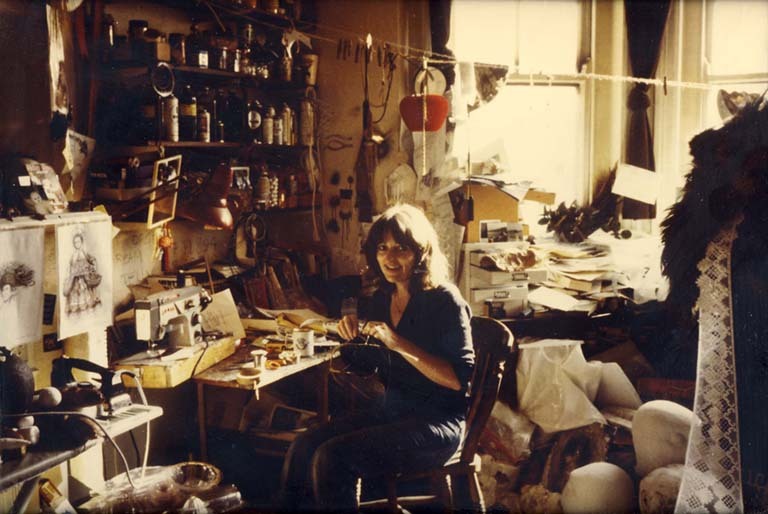 I started my career in the props department at the Royal Opera House in Covent Garden, progressing to the wardrobe department at the Nottingham Playhouse where I made my first creature – a pantomime horse called Alfred. I dyed, painted, stitched and glued my way up through the ranks to Hollywood, ultimately becoming a freelance costume and creature designer working on a broad range of global projects with some of the biggest stars in the world – Arnold Schwarzenegger, Michael Keaton, Michelle Pfeiffer, Kate Moss, Gary Oldman, Matt le Blanc, Peter O’Toole, Sean Connery. The list goes on. Throughout my career I’ve worked on an incredibly diverse range of costumes for some huge productions across film, television, music, advertising, opera, ballet and theatre. Some of the work I’ve been proudest of includes designing and creating Aslan the Lion with my team for The BBC’s The Chronicles of Narnia, a character who really became a celebrity in his own right, as well as leading the 40-strong ‘Batshop’, creating principal costumes for Batman Returns. I also bring unparalelled advertising credentials, having worked with big brands such as BMW, Heineken, Vodafone, Heinz, IBM, Lexus, McVities and many more, to create award-winning costumes for national and international advertising campaigns. My first love is designing and stylying costumes, and I’ve always been interested in ‘passing on the baton’ to the next generation too. When I’m not designing costumes, I can be found travelling the world as a speaker and lecturer, offering insight into all elements of costume design from creative advice, to practice advice, to commercial advice. I’m also the proud owner of The Little Costume Shop (following in Christian Dior’s ‘Theatre de la Mode’ footsteps) – a collection of quarter scale opera and ballet costumes that have been exhibited at The Royal Opera House Covent Garden and The Kennedy Center. We also recreate wedding dresses in quarter-scale as a unique and eye-catching keepsake of the special day. Please see The Little Costume Shop tab for more information.